We love to see them and hear them, but birds can be messy and destructive. They carry many diseases and cause thousands of dollars of damage to structures every year. Beyond that, birds return to their nesting sites year-after-year – often making them on ongoing nuisance. At Above All Window Cleaning & Services, we safely deter them from roosting and damaging your property. Our tactics work on all types of birds, using odorless, EPA approved, and harmless deterrents. We also offer a 5-year guarantee to keep our feathered friends in the trees where they should be, not in your rafters and eaves. We serve clients across the Western Slope of Colorado. Due to the varying nature of bird removal requirement, we suggest an onsite estimate. Above All Window Cleaning & Services uses safe and secure methods to remove pest birds from your property. 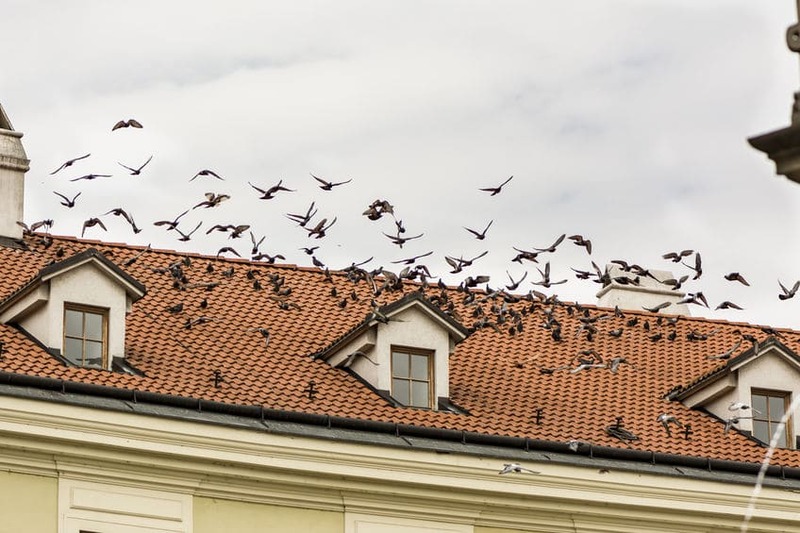 Our experts will protect your property from damage while safely deterring birds from returning on a year-to-year basis. We only use safe, EPA approved, and harmless methods for removing birds from your property – ensuring the safety of kids, pets, and the wildlife. We perform bird removal services across Colorado, including Grand Junction, Fruita, Palisade, Loma, Mack, Summit County, Copper Mountain, Beaver Creek, Vail, Avon, Edwards, Breckenridge, Aspen, Glenwood Springs, Rifle, Montrose, Hotchkiss, the Grand Mesa, Colbran and everywhere in between.